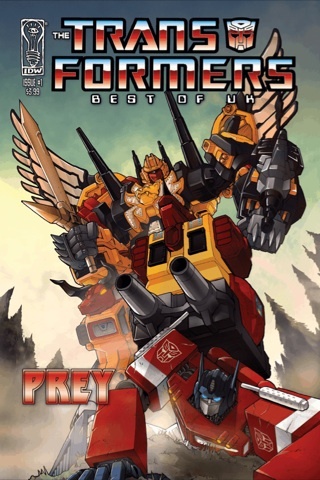 Transformers UK: Prey is a 4 issues series from IDW on their own app on the iPhone. Even so, this is a story with a beginning, middle and end, and is therefore worth reading. This series is also out there for digital comic advocates – how many in the UK half remember this series? (like me) and how many in the US have never seen these?